If you are looking for ideas for a wedding invitation, then a caricature can provide a nice way that is not excessively formal, but still can have class. Here is a (cropped) version of one recently completed by artist Luis. As you can see there is the sign to include the information. 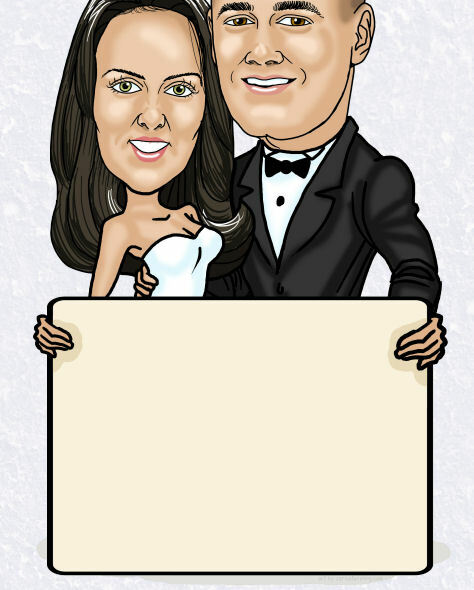 Any of our artists can create a unique and fun caricature for your wedding invitation, sign-in picture or gift for someone you know who is getting married.